Ingredients: sprouted buckwheat, dried tomatoes, linseeds, sesame seeds, pregerminated almonds, sunflower oil, oregano. 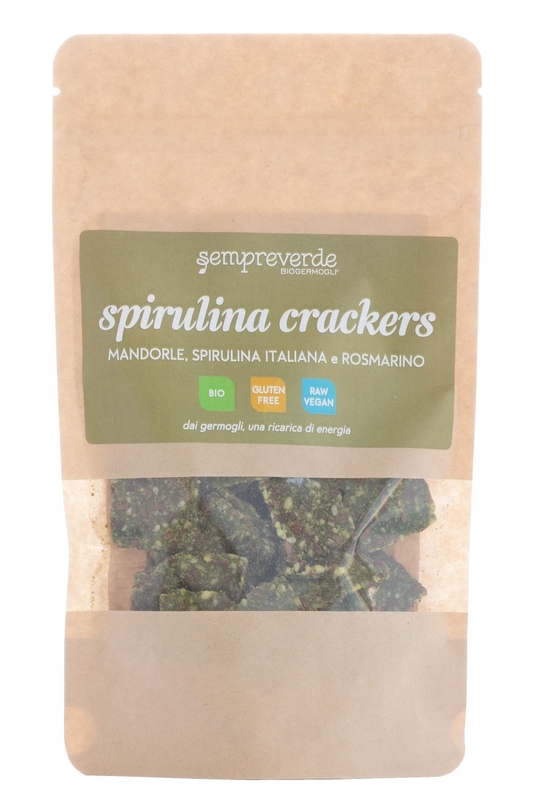 These crackers will remind you of the famous Italian pizza with it's authentic Italian flavor. 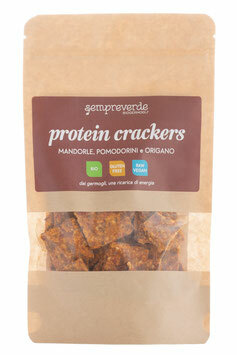 The healthy ingredients and the precious aroma make a perfect snack anytime of the day or as an alternative to bread. High in fibre and iron; source of calcium, Vitamin C and protein (increases absorption of iron). 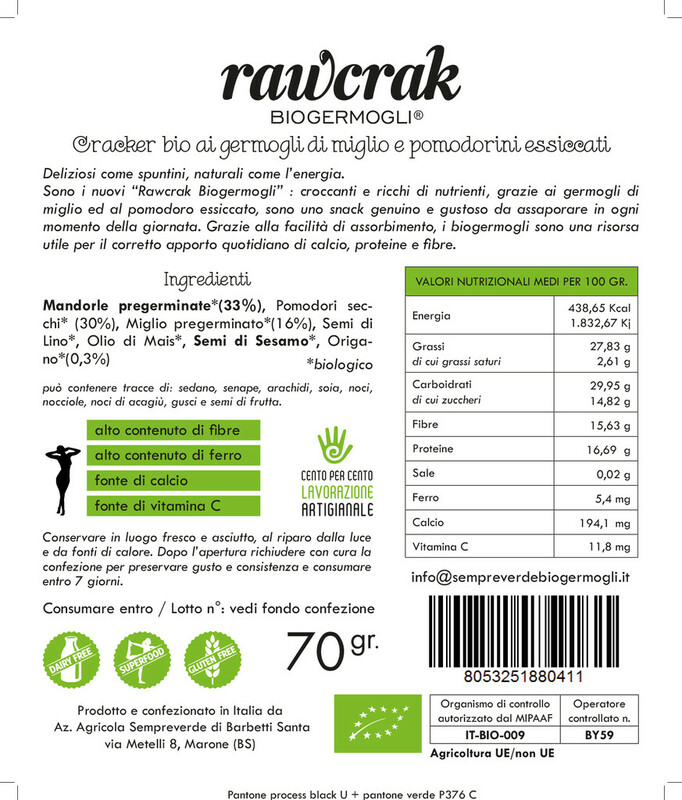 Sprouted buckwheat, cashew, carrot, seed oil, natural yeast, sesame seeds, sunflower oil and sea alt. 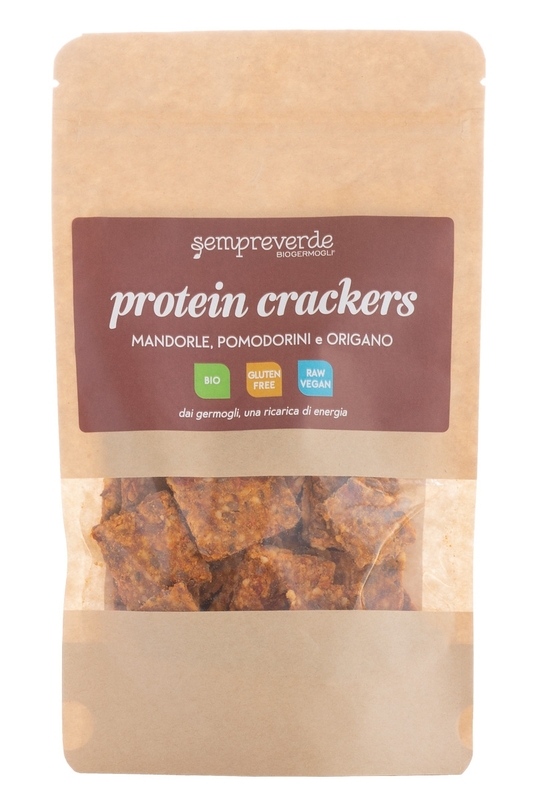 These are the new "Protein Crackers" : crunchy and rich in nutrients, thanks to the activated cashew nuts and sprouted buckwheat, they become a genuine snack that can be enjoyed all day long. The easy absorption and digestion makes these organic sprouts a great resource for the proper daily intake of protein and fibre. High in fibre ; source of iron and protein. 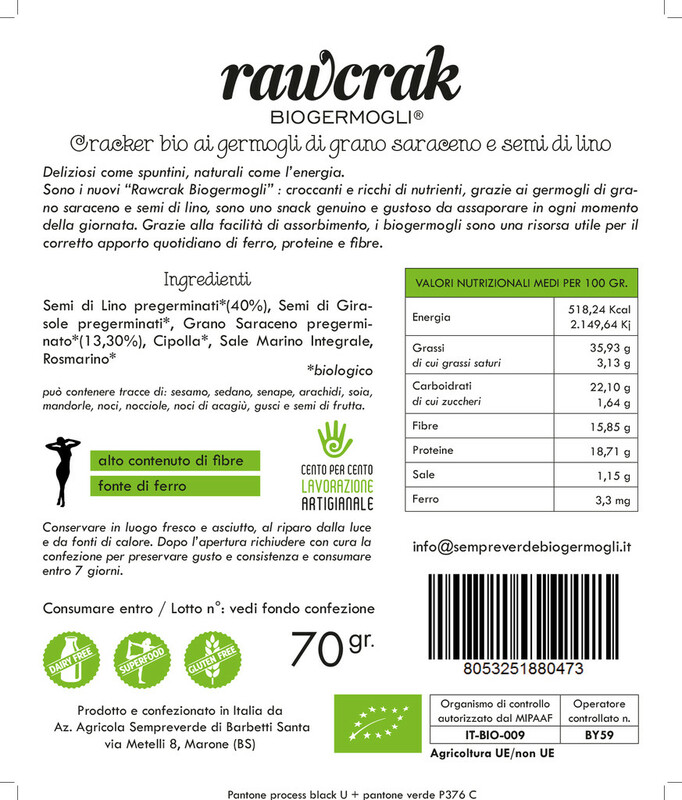 Ingredients : sprouted buckwheat, linseed, activated sunflower seeds, onion, sea salt, rosemary. These very rustic crackers are based on various sprouted seeds that are left whole in order to ensure maximum integrity of their nutrients. 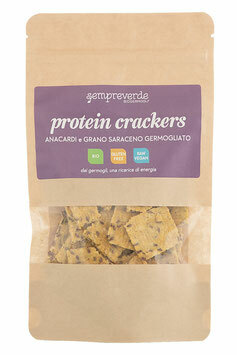 A slight aroma from the rosemary makes them a good snack as well as a healthy alternative to bread. Rich in fatty acids Omega 3 ; high in fibre and are a source of iron and protein that reduces fatique and stress. 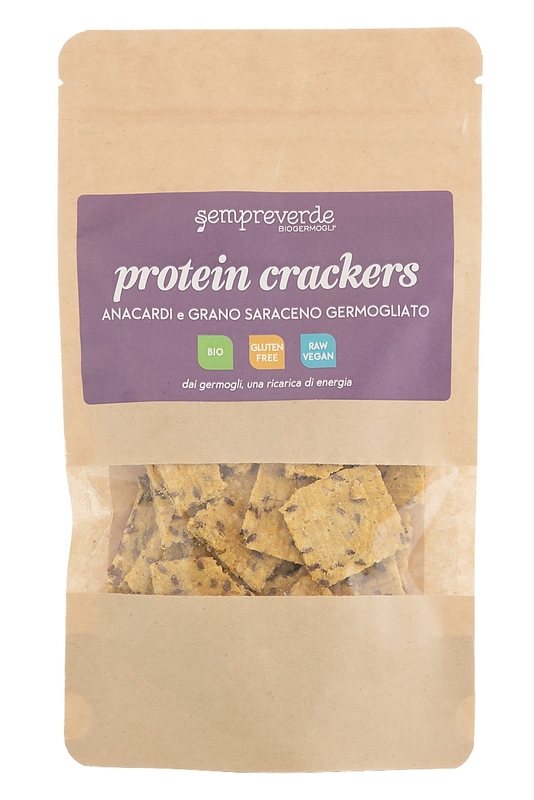 Ingredients : sprouted buckwheat, spirulina, pregerminated almonds, carrot, linseed, sunflower oil, corn oil, sea salt, rosemary, garlic. 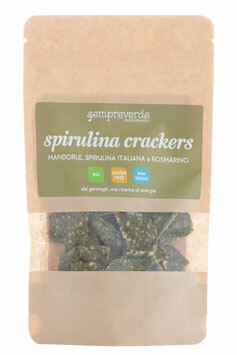 These crackers with spirulina are truly sophisticated! 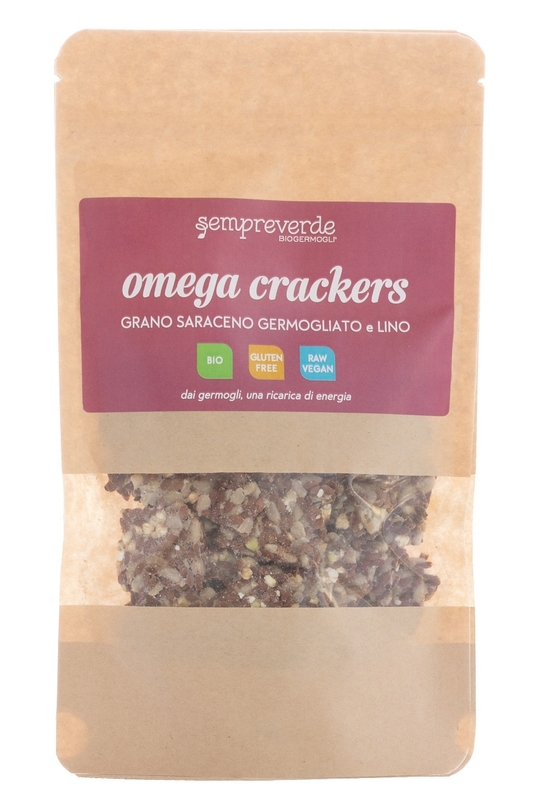 A synergy of healthy ingredients and valuable aromas make these crackers perfect for both snacks or bread alternatives. High in fibre ; source of iron, calcium and protein. Calcium contributes towards the normal metabolism activity while iron helps reduce fatique and stress.